Unfortunately, you can't limit the number of users who should be shown in the Invite People Textbox to specific users. 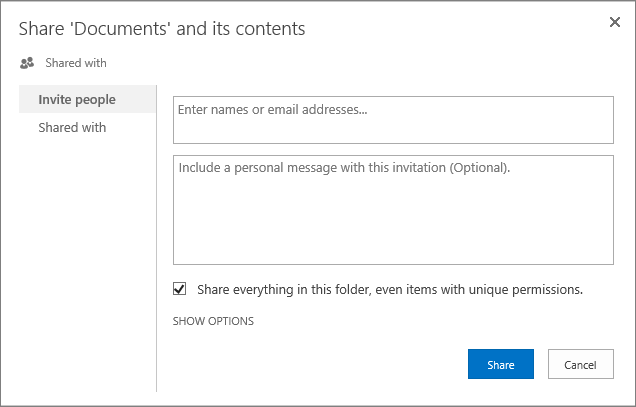 This Invite People shows all people in your organization and only the specified people in this text box will be granted to the provided permissions in Show Options section. Not the answer you're looking for? Browse other questions tagged permissions item-level-permissions custom-permission-level or ask your own question. How to make dropdown link only visible to a certain group of users? What's the proper way to give users permissions to only execute workflows?